You may have heard that taking choline along with Piracetam can improve your nootropic experience. Some people say choline intensifies the benefits of Piracetam and prevents Piracetam headaches. Choline is an essential nutrient. It helps maintain the structure of cell membranes, control the transport of fat from the liver and ensure proper nervous system function. Your liver makes a small amount of choline. However, in order for you to obtain all the choline you need, you must get some from external sources. Many foods contain choline. Good sources are eggs (mostly the yolk) and meat (especially liver). Despite its wide availability, scientists think many people don’t get enough choline. Your body uses choline to make acetylcholine, a neurotransmitter that plays an essential role in memory and learning. One of the ways that Piracetam enhances cognitive function is by increasing acetylcholine production. 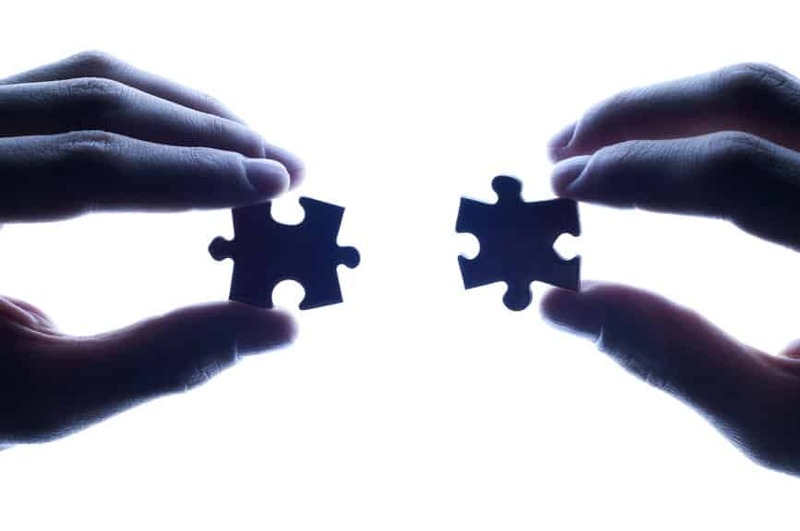 So Piracetam and choline together are a powerful combination. 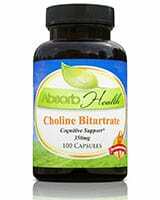 Choline is itself thought to be a cognitive enhancer. In a study performed in the late 1980s, rats whose mothers were given extra choline while pregnant and that also received extra choline in the first five days of their lives performed better on memory tests than rats that did not receive choline supplementation before or after birth. We know that both Piracetam and choline can improve your ability to learn. So why not just pick one or the other? Why take both? In 1981, scientists performed a study on aging rats that showed Piracetam and choline work synergistically, so the effect of taking them in combination is greater than the sum of the effects of taking them separately. 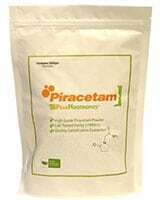 Researchers gave one group of rats 200 mg/kg of Piracetam, another group 200 mg/kg of choline and a third group 100 mg/kg of Piracetam plus 100 mg/kg of choline. Rats that received the Piracetam/choline combination performed much better on a learning test than rats that received just Piracetam or just choline. Nobody is certain why this combination has such a powerful effect. Some studies on rats suggest that Piracetam increases the uptake of choline in the hippocampus, a region of the brain associated with memory. However, conflicting studies show no such effect. Headaches are a known side effect of taking Piracetam. Some people claim you can ward off Piracetam headaches by taking choline with Piracetam. There is no definitive research explaining what causes these headaches or why choline would prevent them. However, a common hypothesis is that Piracetam stimulates the brain’s acetylcholine receptors, increasing their demand for acetylcholine. You need choline to make acetylcholine; if you don’t have enough choline to meet the increased demand – keep in mind that most people probably don’t get enough choline in their diets anyway – you get a headache. Paradoxically, some Piracetam users find that adding choline actually causes headaches. These users don’t get headaches when they take Piracetam on its own. Once again, there is no established research to explain why this happens. 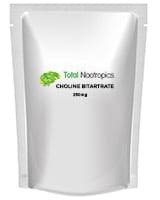 If adding choline to your nootropic regimen gives you a headache, a common sense solution is to reduce your choline dose or give up choline supplementation altogether. 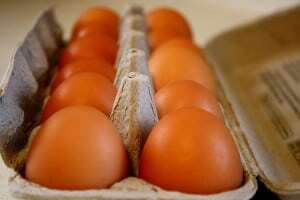 You may already be getting all the choline you need your food. Sometimes Piracetam users say adding choline to their stack causes them to experience lethargy, fatigue, brain fog or depression. Some research shows a correlation between depression and high levels of choline in the brain. However, other research shows no such correlation. It’s been suggested that you can alleviate depressive symptoms by spacing your Piracetam and choline intake. You can try taking choline before bed and Piracetam in the morning. If that doesn’t work, you may have to reduce your choline dose or give simply give it up. 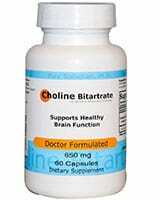 Choline supplements are available in different forms. Frequently used ones are choline salts, lecithin, Alpha GPC and CDP Choline (Citicoline). A choline salt consists of choline combined with another chemical to form a salt. 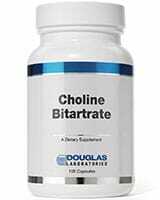 Choline salts include Choline Bitartrate, Choline Chloride and Choline Citrate. They are inexpensive, but they often contain low levels of choline, possibly less than 15%. In addition, their bioavailability is low; a large portion of these supplements is broken down in the digestive system before it can reach the brain. Lecithin is found in eggs and soy. It produces the same side effects as choline salts. Alpha GPC and CDP Choline are derived from lecithin. Although they can be expensive, they contain a higher percentage of choline and have a greater bioavailability than choline salts or lecithin. Choline users claim they are also less likely to produce negative side effects. If you’re new to taking Piracetam, hold off on adding any other supplements to your stack until you’ve been taking Piracetam for at least two weeks. It can take that long for enough Piracetam to build up in your brain so you can experience its full effect. Once you have a good idea of how Piracetam affects you, and youíre ready to try adding choline, you’ll have to think about your dosage. Keep in mind that choline will increase the effectiveness of the Piracetam dose you’re already taking. The ratio of choline to Piracetam will depend on the type of choline you’re taking. If you’re taking a weaker form of choline, like Choline Bitartrate or lecithin, your choline/piracetam ratio could range from one milligram of choline for every six milligrams of Piracetam to one milligram of choline for every one milligram of Piracetam (the ratio used in the 1981 rat experiment). A stronger form of choline will require a lower dose. If you’re taking Alpha GPC or CPC Choline for example, your choline/piracetam ratio could range from 1:4 to 1:10. The ratio that is right for you might not be right for anyone else. A great deal will depend on your metabolism and the amount of choline you are getting in your diet. †You will have to rely on trial and error. Start out with a low dose of choline and work your way up until you discover what works for you. Originally posted on May 16, 2014, last updated on December 1, 2018. 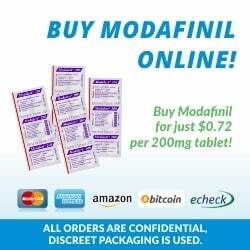 Where can l get the cheapest script of Piracetum and choline? ?